I’ve been working on some WordPress builds for clients recently and decided it was a bit ridiculous that my own website didn’t have a custom theme. Despite my utter contempt for WordPress as a piece of software, building a simple theme that behaves largely like a blog is not too hard. This one took about a day and I only had to throw one monitor out the window. (acceptable). 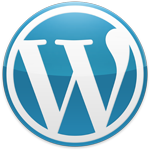 I just installed the WPTouch WordPress plugin which gives iPhone and Android visitors a tailored mobile UI.